​Olav Velthuis is Professor at the Department of Sociology of the University of Amsterdam, specializing in economic sociology, sociology of the arts and cultural sociology. At the department, he is director of the program group Cultural Sociology; he used to be director of the MA programs in Sociology. His research interests include the globalization of art markets, the interrelations between market and gift exchange, the valuation and pricing of contemporary art, and the moral and socio-technological dimensions of markets for adult content. In a cross-comparative fashion, he has recently studied the emergence and development of art markets in the BRIC-countries (Brazil, Russia, India and China). The project was financed by a VIDI-grant from the Dutch Science Foundation (NWO). Before moving to the Universiity of Amsterdam, he worked for several years as a Staff Reporter Globalization for the Dutch daily de Volkskrant. Also, he worked as an Assistant Professor at the University of Konstanz and as a Post-Doc at Columbia University. Doutor em História da Arte (em 2010) pela Universidade de Santiago de Compostela (Espanha), em regime de co-tutela reconhecido pela Faculdade de Letras da Universidade de Lisboa. Actualmente é professor (Assistant professor) no Departamento de Património artístico e documental da Universidad de León, Espanha. Para além dos diversos trabalhos especializados sobre História da Arte galega e Iconografia, tem desenvolvido uma investigação de Pós-Doutoramento onde estuda as relações culturais/artísticas entre Espanha e Portugal nos séculos do Barroco (desde 2012 até 2018); uma linha de investigação desenvolvida no quadro do grupo universitário de investigação “Arte e Cultura da Época Moderna” (ACEM), adstrito ao Departamento de História da Arte e História Social da Universitat de Lleida. Desde 2013 é Investigador Integrado no Instituto de História da Arte da Universidade de Lisboa, mas também tem colaborado com outras instituições académicas e cientificas dentro e fora de Portugal, como a Cátedra de Cultura Portuguesa da Université de Montréal. Actualmente é Visiting Researcher no Instituto de História dá Arte da Universidade Nova de Lisboa, como beneficiário de um bolsa de investigação para estrangeiros da Fundação Calouste Gulbenkian (Referência: 217160), com o projecto intitulado “Rainhas de cultura. Transferências culturais/artísticas em feminino entre as cortes espanhola e portuguesa no século XVIII”. Katarzyna Cytlak is a Polish art historian based in Buenos Aires, Argentina, whose research focuses on Central European and Latin American artistic creations in the second half of the 20th century. She studies conceptual art, radical and utopian architecture, socially engaged art, and art theory in relation to post-socialist countries from transmodern and transnational perspectives. In 2012, she received a PhD from the University Paris 1 Panthéon-Sorbonne. Cytlak was a postdoctoral fellow at the National Scientific and Technical Research Council, Argentina (2015-2017). She worked as a researcher and professor at the School of Humanities, at the University of San Martín, Argentina (2018). In 2018 and 2019, she participated in the CAA-Getty International Program. Selected publications include articles in Umění / Art, Eadem Utraque Europa, Third Text, and RIHA Journal. She is a grantee of the University Paris 4 Sorbonne, the Terra Foundation for American Art (Washington, New York, San Francisco) and the Institut National d’Histoire de l’Art de Paris. ​TERRY SMITH, FAHA, CIHA, is Andrew W. Mellon Professor of Contemporary Art History and Theory in the Department of the History of Art and Architecture at the University of Pittsburgh, and Professor in the Division of Philosophy, Art and Critical Thought at the European Graduate School. He is Faculty at Large in the Curatorial Program of the School of Visual Arts, New York. From 2011 to 2014 he was Distinguished Visiting Professor at the National Institute for Experimental Arts, College of Fine Arts, University of New South Wales, Sydney. He was the 2010 winner of the Franklin Jewett Mather Award for art criticism conferred by the College Art Association (USA), and in 2011 received the Australia Council Visual Arts Laureate Award. In 2014 he was a Clark Fellow at the Sterling and Francine Clark Institute, Williamstown, Massachusetts, in 2007-8 the GlaxoSmithKlein Senior Fellow at the National Humanities Research Centre, Raleigh-Durham, and in 2001-2002 he was a Getty Scholar at the Getty Research Institute, Los Angeles. From 1994 to 2001 he was Power Professor of Contemporary Art and Director of the Power Institute, Foundation for Art and Visual Culture, University of Sydney. He was a member of the Art & Language group (New York) and a founder of Union Media Services (Sydney). During the 1970s he was art critic at these Australian newspapers: Weekend Australian, Nation Review, Times on Sunday; he continues to write for art journals and magazines throughout the world. A foundation Board member of the Museum of Contemporary Art, Sydney, and from 2004 to 2014 Board member of the Andy Warhol Museum, Pittsburgh, he is currently a member of the Board of the Carnegie Museum of Art, Pittsburgh. ​Béatrice Joyeux-Prunel is maître de conferences in modern and contemporary art at the École normale supérieure in Paris (ENS, PSL) and possesses a Habilitation à diriger les recherches – a French equivalent of Professor in Modern and Contemporary Art History. 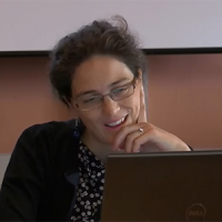 She teaches and works on the global history of the avant-gardes from a transnational, digital and social perspective. She also works on the visual culture of petroleum, and on the digital turn in the humanities. In 2009, she founded Artl@s (www.artlas.huma-num.fr), an ongoing research project into the globalization of art and culture since the 19th century. Artl@s publishes digital sources for transnational art history and trains scholars in digital humanities to promote a better grasp global of phenomena circulation. 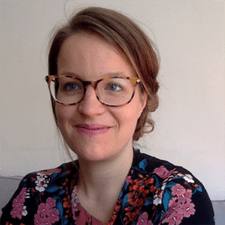 In 2016, she founded Postdigital (www.postdigital.ens.fr), a new research project on digital cultures and imaginaries. Born in Johannesburg, South Africa, for three decades John Mateer has been based in Australia, in Perth and Melbourne. During that time he has written for most Australian art publications and several newspaper. For eight years he was a frequent contributor to Art Monthly Australia. His criticism has also appeared in a range of literary magazines and in Asian Art Review (Hong Kong), Art Radar (Taiwan) and Frieze (UK). His contributions to books include essays on Domenico de Clario, Ian Fairweather, Tom Nicholson, among others. In the early 2000s he was involved in the development of The South Project which aimed to build networks between Australia, New Zealand, South Africa and South America. In recent years, as a curator, he has produced exhibitions focused on Australia and the Indian Ocean/South-East Asia region: In Confidence: Reorientations in Recent Art (2013) for Perth Institute of Contemporary Arts, and Invisible Genres (2016) for the John Curtin Gallery, Curtin University; the latter being complemented with talks and screenings and documented with a book in collaboration with the Dutch art historian Arvi Wattel. Currently he is developing a cycle of screenings focused on artist/filmmakers from Africa, Europe and Portugal. From 2002-2017 Hannah Lubman Sigur taught at universities in the San Francisco Bay Area in the USA. From 1978 – 1982, and 1994-1995, she resided in East and Southeast Asia. Now a resident of Lisbon, she is affiliated with the Departamento da História de Arte, Universidade Nova de Lisboa. Her initial concentration on the traditional arts of Japan and East Asia evolved into a profound interest in the material culture of internationalism and cross-cultural exchange principally of Meiji Japan with the United States and Europe. Her book, The Influence of Japanese Art on Design (Gibbs Smith, 2008) examines Japonisme, Arts & Crafts, Art Nouveau, and early Contemporary design from an American/Japanese perspective. Since 2013 she has focused on the relationship between architecture and national identity conceived for the global eye at international expositions from 1867 – 1915. For a general readership, her essay on the 1893 Chicago World’s Fair’s iconic White City appears in What Happened? An Encyclopedia of Events that Changed America Forever, Vol. III (ABC-Cleo, 2010). For specialists, her “Neoclassicism in Translation: Japan’s Hôôden at the World’s Columbian International Exposition, 1893” appears in Expanding Nationalisms at World’s Fairs: Identity, Diversity and Exchange 1855 – 1914(Routledge 2017). International Conference | What’s love got to do with it? ​Rabbya Naseer (Pakistan) is an artist, curator, teacher and art critic. Her practice is broadly concerned with exploring the parallels between art and everyday life and highlighting their similarities in production, representation, reception, and interpretation. Catherine Wood (UK) is the senior curator of Performance at the Tate Modern. She is the author of Yvonne Rainer: The Mind is a Muscle (2007) and Performance in Contemporary Art (2018). Peter Mark is Professor of Art History ‘emeritus’ at Wesleyan University in Connecticut (u.s.) and Professor Convidado at FLUL. He is also invited scholar at the Max-Planck-Institut in Halle, Germany. This spring he will be ‘chercheur invité’ at the Institut National d’Histoire de l’Art in Paris. His current research focuses on the dynamics of cultural inter-action and hybridization, both with regard to social structure and economic practices, and also with regard to material culture.